* Offered basic plan may vary depending on Samsung Cloud policy. Keep your data backed up because it couldn't be easier with Samsung Cloud. Having everything you need in the cloud also means you have one less thing to worry about when your device stops working or you lose it. Restoring your data and settings, whether to an existing device or a new one, is impressively simple. From the home screen layout and its apps to the alarm and Wi-Fi settings, everything’s just the way you like it. 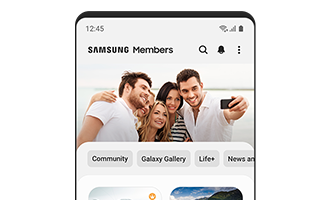 Take a photo on your Samsung smartphone and it’s saved in both the gallery and the Samsung Cloud. You only need to sign in to your Samsung account on your device; no need for a separate cloud app. Now you’re able to access your photos and albums from your other devices whenever you want. And since the range of supported devices continues to grow, soon you’ll be able to access your data from wherever you want. When you need more storage of Samsung Cloud, you can buy additional space right from the Settings menu on your device. And it’s not just for your photos and videos, you can also keep your memos, documents, and music files. You won’t have to delete a thing. * Availability of services and storage plans may vary depending on the country and/or service provider. * Storage plan may change depending on Samsung Cloud policy. Customise what you want to save to the Samsung Cloud, what you want backed up, as well as what to restore from backup if needed. Go to the Settings menu on your Samsung device to begin. 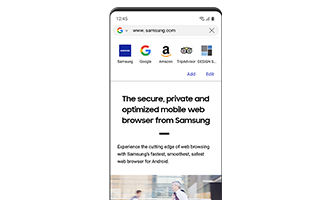 * Access to Samsung Cloud and the availability of features may vary depending on device, OS, and/or country.